While devilishly poised for all sorts of trolling and fake announcements, yesterday’s Nintendo Direct was a refreshingly factual presentation that put its fans first. It rewarded patience, stoked the flames of anticipation and all but printed money. It was a relentless onslaught of unexpected announcements and expansions and yarn and jet-propelled horses, and I loved every minute of it. But behind those marquee titles and surprise spinoffs is some substantial subtext waiting to be analyzed, and I’d like to invite you to come with me and do just that. Let’s dive in. First of all, how about those amiibo? Once again Nintendo spent a ton of time talking about the many features of its NFC figures, but it also threw a couple curve balls. 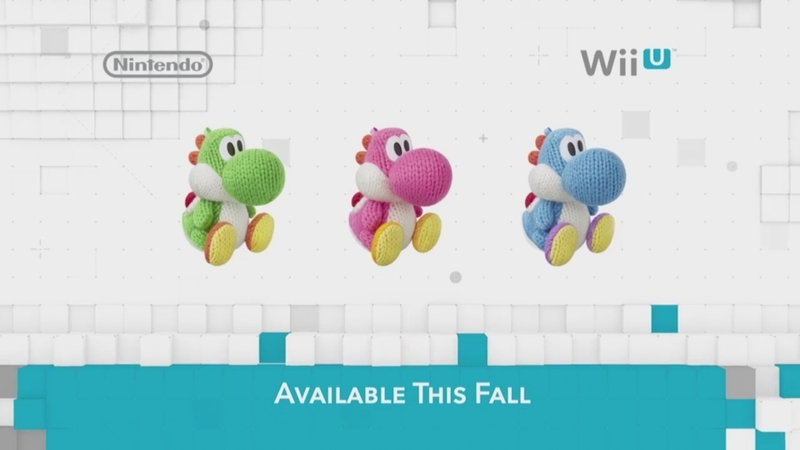 The first, a set of literal Yarn Yoshi amiibo. Do you understand what that means? They’re cute. They’re cuddly. They’re made of yarn. And they also let you control a second Yoshi when you tap one while playing Yoshi’s Wooly World. It’s a brilliant move from Nintendo, opening up all sorts of amiibo possibilities down the line purely because the company is clearly willing to experiment with the format of its NFC products. In fact, yesterday’s Direct also gave us our first look at the previously announced amiibo cards, the first set of which will launch alongside Animal Crossing Happy Home Designer this fall. It’s a system reminiscent of the fabled Game Boy Advance e-Reader, and happily gives me a viable reason to dive back into collecting cards. Amiibo Tap: Nintendo’s Greatest Bits, the most ingenious implementation of amiibo yet, was also announced yesterday. It gives players a random sample of any one of a number of classic NES and SNES games like Super Mario World and The Legend of Zelda, and as a free Wii U download acts as a vehicle for the increased exposure of Nintendo’s greatest historical achievements. Giving the new generation a venue to experience the games that sealed Nintendo’s position in this industry at no extra charge is a masterstroke, and adds considerable value to the increasingly useful amiibo. Still no word on an amiibo-centered retail title, but I can feel it coming. Also, Splatoon amiibo. Those are a thing. A smaller thing than other amiibo series thus far, but still a thing. If nothing else, giving Splatoon its own set of three amiibo is a powerful statement of intent from Nintendo; it clearly believes Splatoon has the potential to become a recurring and beloved franchise. I’m all for that, too – Splatoon looks better and better each time I see it. Extra missions and super rad exclusive items are reason enough for me to buy the whole set of figures (as if I needed a reason), but we’ll have to wait until May 29 to see if the world welcomes Splatoon with all the zest of deep-fried calamari. Before that though, April is set to be a massive month for Nintendo. HAL Laboratory’s intriguing Box Boy launches on 3DS eShop on April 2, the free-to-play Pokemon Rumble World hits the handheld on April 8, Mewtwo joins the fray in Super Smash Bros. on 3DS and Wii U on April 28 (April 15 for players who registered both versions with Club Nintendo before March 31), and Mario Kart 8 is primed for a raucous update with the game’s second DLC pack and the exciting new 200cc mode both launching on April 23. Nintendo is really nailing the post-launch DLC model with both Mario Kart 8 and Super Smash Bros., and it sounds like this is only the beginning. May is pretty packed too, with Puzzle and Dragons Z + Puzzle and Dragons: Super Mario Edition on May 22, Attack on Titan: Humanity in Chains at some point, and Splatoon on May 29. Not a bad lineup I’d say. I gushed over the reveal of the next Fire Emblem game in Nintendo’s January Direct, and you better believe the game’s showing this time around prompted the same response. Intelligent Systems is bravely treading new ground with this installment, letting players create and control the protagonist for the first time in the series and also adopting a drastically branching narrative that can be played from one of two perspectives. The game’s aesthetic is positively marvelous, mixing the Japanese elegance of Hoshido with the European brutality of Nohr, and I can’t flippin’ wait to get my hands on it. It’s a bummer that it won’t be here until 2016, but one curious morsel that didn’t make it into the North American Direct was that the game will be releasing in two versions, at least in Japan. Each will be exactly the same until Chapter 6, at which point your story will branch towards whichever version you bought, either Hoshido or Nohr. The other side of the story can then be bought digitally for 2000 yen, and a third campaign will also launch as DLC for the same price. That’s a whole lot of Fire Emblem. It’ll be interesting to see if Nintendo implements the same multi-version format for the game’s western release, and whether we inherit its full title, Fire Emblem If, along with it. Whatever the case, that game looks incredible. I didn’t think Nintendo could do any better than giving me more Fire Emblem to salivate over, but then it casually dropped the first footage of the Shin Megami Tensei and Fire Emblem collaboration announced way back in January 2013. It was a vibrant, mesmerizing, and unapologetically Japanese trailer, and suffice it to say my face resembled a Shy Guy by the time it was over. It’s not what I expected, but the game’s mixture of the teenage bliss of Persona with the fantasy flair of Fire Emblem was a surprising and creative combination of both franchises, and the Wii U looks primed for an absolutely colossal exclusive when it drops on…wait, when does it drop? Unfortunately us westerners didn’t get a release date, or even a title, but our Japanese friends are set to sink into Illusory Revelations#FE (that’s the Japanese title, hashtag and all) by the end of 2015. Keep an eye on that one, kiddos. It’s gonna be big. Xenoblade Chronicles 3D had another strong showing too, but its presence also highlighted a disconcerting lack of New 3DS exclusive games in the pipeline. It’s true the New 3DS isn’t even two months old, but it’s worrying that Nintendo didn’t even make a passing mention of more exclusives for the system in yesterday’s Direct. The company seems to be content to market the device as an upgrade rather than a new platform capable of playing unique games, and that messaging could end up sinking the New 3DS ship before it ever gets a chance to sail the seas of success. In fact, one of the handheld’s most important features, its NFC reader, will soon be replicated on standard 3DS and 2DS systems by way of a wireless podium. That accessory isn’t due until this fall, mind, but that means Nintendo only has until then to think up a few more compelling reasons to own the system. Yesterday’s Nintendo Direct was a whirlwind of announcements and release dates and amiibo and OH MY GOD FIRE EMBLEM, but did Nintendo leave anything significant out? Surely not, right? 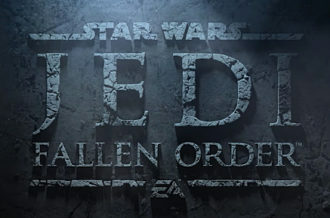 Oh, yeah – Star Fox Wii U, The Legend of Zelda Wii U, and Xenoblade Chronicles X were all mysteriously missing from the presentation, most likely in an effort to save some of the fun for E3 in June. That was somewhat expected, especially considering Zelda Wii U was recently delayed until 2016… *sob*. 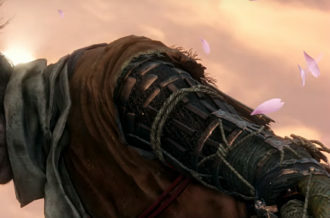 The fact that most viewers didn’t miss the absence of those three mega titles is a testament to the quality (or perhaps quantity) of Nintendo’s announcements yesterday, and makes the Japanese company’s presentation at E3 this June that much more tantalizing. There were a couple more big items Nintendo skipped over, though. 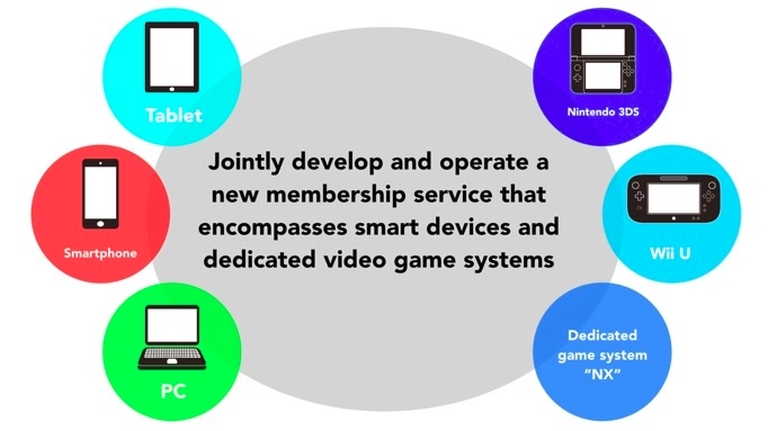 The first is NX, the company’s next dedicated gaming hardware announced at a recent investor’s meeting. That shouldn’t surprise anyone though, because as far as Nintendo is concerned everything is about Wii U and 3DS right now. Muddling the messaging by announcing a successor for either of those platforms would dampen the incredible impact yesterday’s announcements had, so don’t expect to hear anything more about NX until sometime next year (probably at E3), well after we’ve all fallen in love with Zelda Wii U. The second piece, also announced at that same investor’s meeting last month, is Nintendo’s foray into mobile development and partnership with DeNA. The initial announcement in Japan has not yet been echoed by Nintendo of America, so it’s not too surprising that the Big N kept quiet about its latest and most promising partnership on a day of such frivolous announcements. Much like NX, spending time talking about mobile games might have stolen some luster from upcoming 3DS games, so in the end it’s probably for the best. Like NX, we’ll probably hear more about Nintendo’s partnership with DeNA at E3, though you should expect that to happen this year rather than next. January’s Nintendo Direct finally saw the arrival of Wii games on Wii U Virtual Console, but Nintendo eclipsed that development yesterday by finally fulfilling its promise to bring N64 and Nintendo DS games to Wii U. Much like the instant release of Super Mario Galaxy 2 after the January Direct, Nintendo made both Super Mario 64 and Yoshi’s Island DS available on the Wii U eShop directly after the presentation, promising more titles like Paper Mario, Wario Ware Touched!, and Donkey Kong 64 down the line. That’s all well and good, and thank goodness Super Mario 64 is finally playable on the gamepad, but where are the rest of the Wii games? We got three fantastic representatives in the form of Super Mario Galaxy 2, Punch Out! !, and Metroid Prime Trilogy, but the Wii catalog is a vast and varied collection that deserves to be revived and accessible on the Wii U. There really isn’t any excuse not to release at least one Wii Virtual Console game every few weeks, especially in months when other fantastic titles like Sin and Punishment: Star Successor have already been released on the console in other regions. Hopefully Nintendo adopts a more regular schedule with its N64 and Nintendo DS releases, but if its Virtual Console track record is any indication we might be preparing ourselves for disappointment yet again. However, one particularly awesome theme of yesterday’s Nintendo Direct was making fans happy. That’s not to say that Nintendo doesn’t always have the consumer in mind (though amiibo scarcity and the perplexing lack of Virtual Console games might say otherwise), but moves like localizing Fatal Frame V, addressing a fundamental issue in Code Name: S.T.E.A.M. 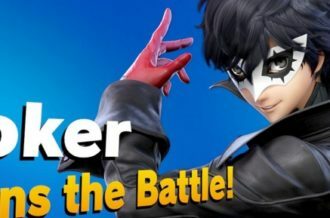 with a prompt patch, and opening up the Smash roster to fan voting are the kinds of decisions that build loyalty, trust, and excitement in a company. 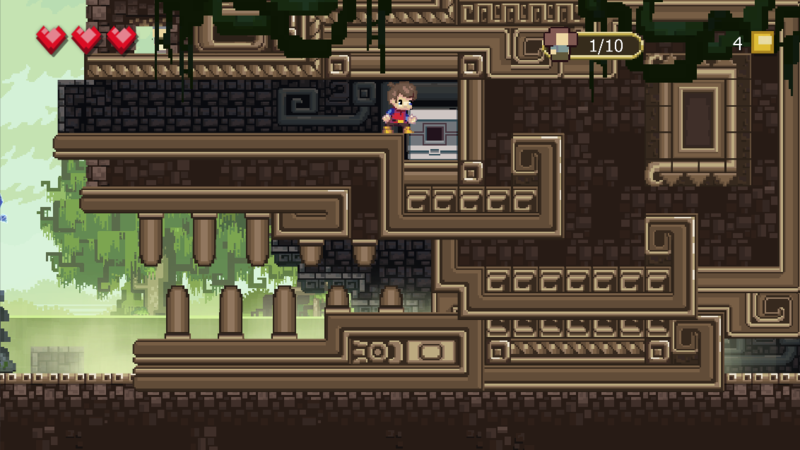 Nintendo also highlighted a number of indie titles headed for both 3DS and Wii U, and while many are ports of games previously released elsewhere there are also a number of exclusives on the way, and they’ll all help flesh out the slowly growing and increasingly impressive indie marketplace on Nintendo’s platforms. So how’s the rest of Nintendo’s 2015 looking? 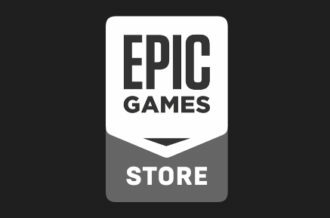 Pretty good, but there are still some suspicious gaps in software releases that one would assume are reserved for Star Fox Wii U and perhaps even Xenoblade Chronicles X. After Splatoon in May, Mario Maker and Yoshi’s Wooly World are the only confirmed Wii U releases before 2016, leaving the console with a few too many winter months without a significant release. I’m not worried though, and you shouldn’t be either – remember when Nintendo announced Super Mario 3D World at E3 2013 and released it five months later? The Japanese company is the king of surprises, and you better believe it’s got a few big ones still stuffed up its sleeve. If you couldn’t tell, I’m pumped about the next few months in the world of Nintendo. The Big N has built and maintained some serious momentum since the release of Mario Kart 8 last May, and it’s actually becoming hard to keep up with all the releases across Wii U and 3DS. 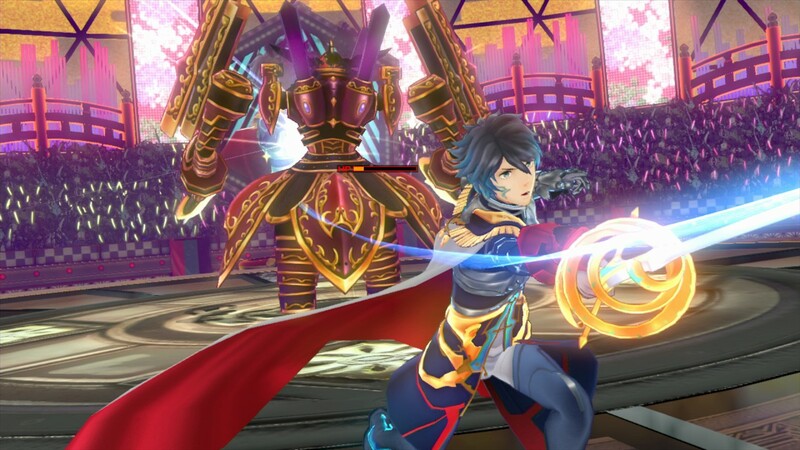 Between Fire Emblem, Splatoon, and the stunning child of the Shin Megami Tensei x Fire Emblem affair, Nintendo fans are in for some of the most exciting exclusives on any platform over the next year. 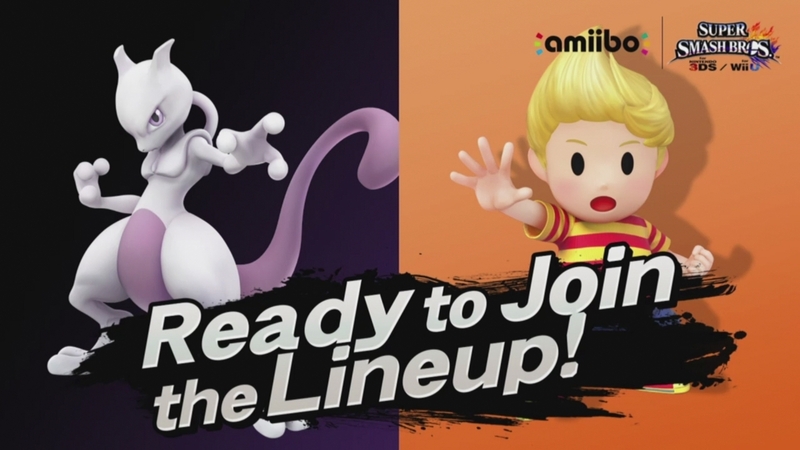 Nintendo’s amiibo plans are in full motion, too, perfectly illustrating the unpredictability the company is known for. Yesterday’s announcements should tide us over until E3, but expect bigger and better reveals featuring Nintendo’s most iconic IP in June.